Hyundai and Kia have made plans to introduce solar charging technology that will be be incorporated into the roof or the hood of selected Hyundai vehicles and will support internal combustion, hybrid and battery electric vehicles with additional electrical power, increasing fuel efficiency and range. The charging tech is being developed to support the vehicle's main power source leading to an improve in mileage and reduction of CO2 emissions. As per Hyundai, it can charge batteries of not just hybrid and electric vehicles but also that of internal combustion engine (ICE) vehicles. 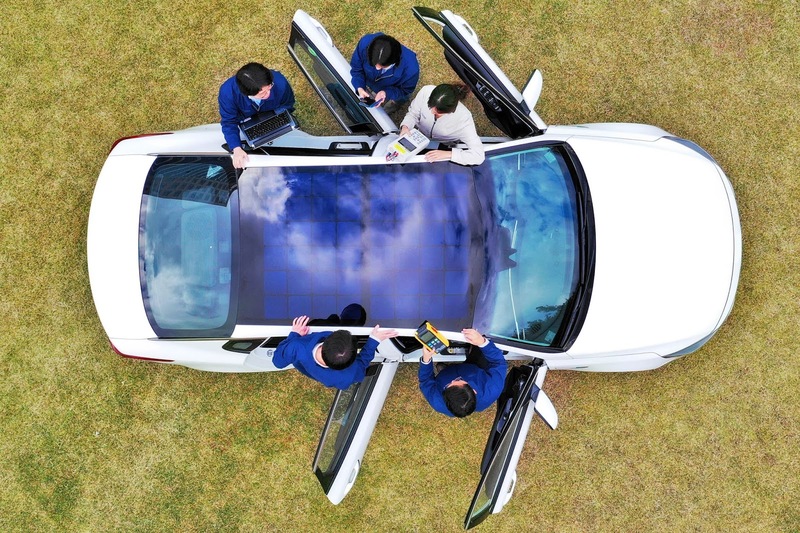 Three types of solar roof charging systems are being developed for this move: The first-generation silicon solar roof system, the second-generation semi-transparent solar roof system, and the third-generation lightweight solar-lid on the vehicle’s body. The first will be applied to hybrid models and includes a structure of mass-produced silicon solar panels mounted on an ordinary roof that can charge 30 to 60 percent of the battery each day depending on weather and environmental conditions. The second will be for vehicles with internal combustion engines and will provide transmissive panel options for consumer satisfaction. 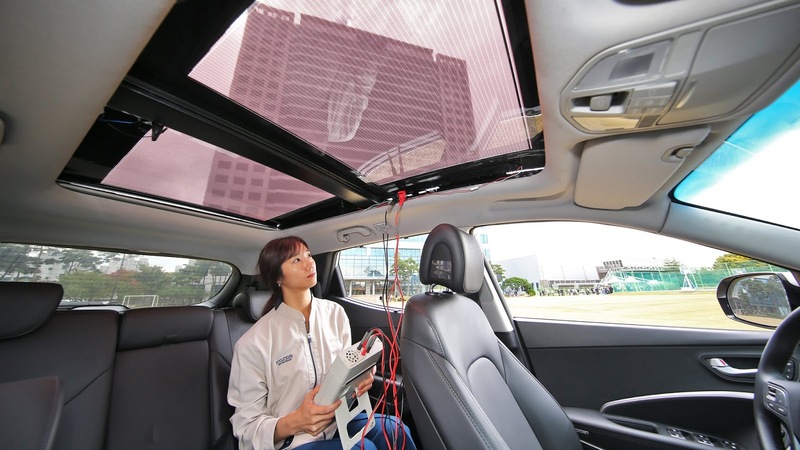 Here, the semi-transparent solar panels are applied to a panoramic sunroof for maintenance of transparency whilst charging electric vehicle batteries. The third is currently in the process of a pilot study regarding application to eco-friendly vehicle models. It includes a structure that mounts solar panels on a bonnet and roof combined for maximization of energy output. In total, the charging system is composed of a of a solar panel, a controller, and a battery. Electricity is produced when solar energy from the sun touches the solar panel’s surface which is then converted to by using photons of light from the sun and then creating the electron-hole pairs in silicon cells to generate solar electricity. Electricity from this standard process is transformed to the standard voltage by the controller and then stored in the battery to decrease loads of a vehicle’s Alternating Current (AC) generator. Hyundai looked into design as well as efficiency when crafting this innovative charging system. "In the future, various types of electricity generating technologies, including the solar charging system, will be connected to vehicles. This will enable them to develop from a passive device that consumes energy to a solution that actively generates energy. The paradigm of the vehicle owner will shift from that of a consumer to an energy prosumer." Hyundai executive vice president of Engineering Design Division Jeong-Gil Park stated concerning the new technology. Hyundai says it'll launch the first generation of this technology for its vehicles after 2019.